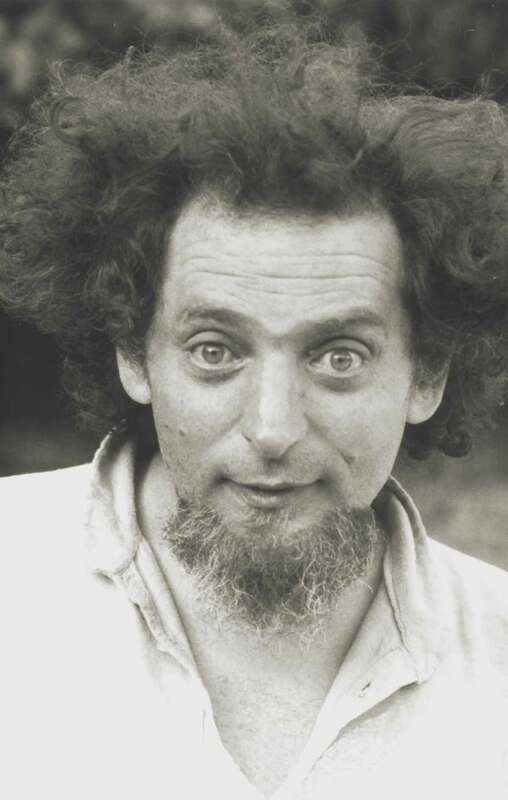 Georges Perec’s books are designed to stir readers to think actively, freshly, and imaginatively about what could have been, and what might come next. (“Workshop of Potential Literature”), whose members shared the belief that formal constraints could have a liberating effect. As Perec put it, “I set myself rules in order to be totally free.” Setting strict rules governing time and place in his novel Life, A User’s Manual (1978), he produced a work that is simultaneously capacious and intimate, forthcoming and wily. By Perec’sown count, the novel tells no fewer than 107 tales, among them “The Tale of Four Young Folk stuck in the lift,” “The Tale of Freischütz the Dachshund,” “The Tale of the Acrobat who did not want to get off his trapeze ever again.” Mixed into the pages are recipes, plot summaries for serial mysteries, genealogical trees, inventories, nursery rhymes, crossword puzzles, and a list of things found on the stairs. By Georges Perec; David Bellos, trans. When Life, A User’s Manual was published in the United States in 1987, it was widely recognized as a major work. In a review for The New York Times, Paul Auster described it as a “crazy-quilt monument to the imagination.” Richard Eder of the Los Angeles Times called it an “extraordinary work.” He also expressed some frustration: “When, after 581 pages, we are through, we are not through.” For 99 chapters, actions have been held in suspension and examined in detail, yet the book’s puzzles remain unsolved. An “Alphabetical Checklist,” an index and a chronology full of sly reminders, adds to sense that there is more to discover, inviting us to make our way back through the text and notice what we’ve missed. “The ironical thing,” Perec himself acknowledges, is that the book reaches its end before the central actions can be brought to completion. With its endless looping, the novel anticipates the kind of text that keeps on going for as long as we keep scrolling down the screen. In this case, though, the author is daring us not just to keep reading, but to read a little more closely. In the years since Perec wrote his novel, reading habits have evolved in unforeseen ways. Andrew Dillon, a professor of information science at the University of Texas, Austin, describes how the process of “touching, pushing, linking, scrolling and jumping through text” is changing the way we read. As we learn to process language through agile skimming, it is tempting to quit in the middle of a long, complex book, especially one that doesn’t allow its characters to finish what they’ve started. Yet it is this very quality that makes Perec’s novel newly relevant, given the recent interest in all things unfinished. Gracefully translated from the French by David Bellos, Life, A User’s Manual revolves around life inside an apartment building in Paris. Perec tells stories about all of the inhabitants, touching on their habits, their histories, their possessions, even their pets. The book’s many parts are bound together by the story of Percival Bartlebooth, who moves into an apartment at 11 rue Simon-Crubellier to be near the painter Serge Valène and take watercolor lessons from him. After 10 years, the quixotic Bartlebooth sets out on a journey, his faithful servant Smautf by his side, with the aim of painting seafront scenes from around the world. He paints 500 watercolors, which he sends to Gaspard Winckler, another resident of 11 rue Simon-Crubellier. Winckler is charged with the task of cutting up Bartlebooth’s watercolors and making jigsaw puzzles out of them. The puzzles are packed in special boxes made by Madame Hourcade, yet another resident of the building. The boxes are then delivered to Bartlebooth, who spends his remaining years back in his apartment, putting each puzzle together. Once the puzzle has been assembled, he sends it to another neighbor, a lab technician who has the job of reconstituting the puzzle as a painting. In the final step, the painting is returned to its place of origin and dipped in a detergent that washes away the colors. Art, craft, and industry are joined in a series of actions that leads to complete erasure. In a preamble to the novel, Perec offers reflections on the virtues of puzzle-making. Putting together a puzzle involves a series of blunders and successes: The “puzzler” tries one combination of pieces, and when that doesn’t work, he tries another. The puzzle is not just a problem that the puzzler sets out to solve—it’s a carefully constructed problem, and at its best it asks us to keep thinking imaginatively about the maneuvers of the puzzle’s creator. Puzzling turns a solitary effort into a dialogue between the puzzle maker and the puzzler. “Every move the puzzler makes, the puzzle-maker has made before,” writes Perec, offering a model for reading the fictive puzzle he has constructed out of uniquely shaped pieces. On one side of the moment, the future looms, and all will be lost: “One day, above all, the whole house will disappear, the street and the quartier will die. That will take time to happen.” On the other side, the past presses in. We read about one character who fought for the Resistance in World War II, and another who stayed neutral. We read about past crimes, love affairs, and deaths. We read about worm-eaten furniture and the history of the building’s elevator. We read about the painting that the artist Serge Valène, Bartlebooth’s teacher, has been working on, an elaborate canvas that is meant to represent, like the novel itself, the whole of the apartment building, all its spaces, its furnishings and wallpaper, its inhabitants and their histories and everything else imaginable. In a passage that provides a clear equation between Valène’s painting and the novel, Perec writes: “Sometimes Valène had the feeling that time had been stopped, suspended, frozen around he didn’t know what expectation.” It is a vision that stirs in Valène sometimes, a feeling of “unbearable sadness.” But sometimes is not all the time; Valène, along with Perec, is out to capture life in all its fullness. Yes, life can be ugly, pathetic, aimless, and sometimes he despairs, but at other times, much like Bartlebooth, or the character named Marguerite, who spends her life painting miniature reproductions on signet rings and snuff boxes, or Monsieur Marcia, who reads any book he can get his hands on because “the more he learnt, the more he wanted to find out,” Serge Valène delights in his purposeful absorption. In a novel bursting at the seams with descriptions of things, Perec proves that the world is an utterly fascinating place, and we do well to pause and pay attention to it while we can. In the novel’s epilogue, a woman climbs the stairs to bring two boiled eggs and tea to Serge Valène. When she enters his room, she finds the artist lying on his bed, “fully dressed, peaceful and puffy, with his arms crossed on his chest.” Valène has died before he could finish his painting. Despite his concerted efforts, the large canvas he leaves behind is “practically blank.” It contains nothing but a few square boxes drawn in charcoal, “the sketch of a cross-section of a block of flats which no figure, now, would ever come to inhabit.” The artist’s attempt to capture all of life—an ambition expressed by the novel itself—has fallen short. At the same time, Valène has succeeded in illustrating a process, showing lines as they were being drawn and thus suggesting what the artist had in mind. The unfinished painting—interrupted by the death of the painter—conveys the power of its potential and, by implication, provides a culminating image to match the whole novel. Despite the intense, extensive examination of his subject, Perec’s representation of life is only partial. This immense book makes the case that there is always more to say. Valène’s painting has its real-life counterparts in the works on display in the Met Breuer’s “Unfinished,” an exhibit that brings together major examples of unfinished art from the 15th century to the present. In the story that the curators tell about “unfinishedness” in Western art, the focus turns inevitably to the question of intent. Did Donatello deliberately leave his Lamentation Over the Dead Christ unfinished, or was he kept from finishing it? Did Rosso Fiorentino deliberately use broad, rough brushstrokes in order to give his paintings an unfinished look? Among the many paintings in the exhibit that may or may not be finished is Titian’s renowned The Flaying of Marsyas. Can it even be called “unfinished”? Portions of the painting have a blurry aspect, while certain details, like one of the eyes of the suffering Marsyas, are carefully delineated. The contrasting techniques have a haunting effect, but despite critical scrutiny, we don’t know whether Titian considered his canvas complete or if it was altered after his death. This reluctance to finish a work definitively has a long history. In a prefatory letter to his encyclopedic Natural History, Pliny the Elder called attention to works of art signed in the imperfect tense. Such a signature indicated that the artist was making rather than made the work, leaving open a crucial opportunity: An artist who was making could return to making it later. The “Plinian signature,” as it came to be called, was later used by artists in the Renaissance, including Titian, who expressed his own deep ambivalence about finishing his late painting of the Annunciation. At the bottom of the painting is the signature Titianus fecit fecit (“Titian made it, made it”), reinforcing the proud claim with the repetition. Studies have revealed, however, that beneath this signature lies an earlier one, Titianus faciebat: “Titian was making it.” In this case, the painting made and made again is the same one the artist was making. Among the works of art most famously left unfinished are the late sculptures of Michelangelo; among those great sculptures is the Pietà in the Museo dell’Opera del Duomo in Florence. Like Titian’s Flaying of Marsyas, this Pietà combines a fuzzy roughness with meticulous detail. But it is more than unfinished: Intended for Michelangelo’s own tomb, the sculpture was not merely abandoned by the artist before completion. In late 1555, Michelangelo attacked the work, pounding and hacking at it in an attempt to break it apart. Why did the artist try to destroy his own sculpture, which he had labored to perfect? Why didn’t he finish destroying it? Beyond any speculation is the reality of the Pietà as it exists in its final, incomplete state. In the relation between its rough portions, the cracks and gouges, and the polished, carved marble, the sculpture tells a story about the transformation of a block of stone into a work of art, as if it were being made continuously before our eyes. The poet Paul Valéry’s famous remark about unfinishedness, often paraphrased as “An artist never finishes a work, he merely abandons it,” sheds a provocative light on the process of making art. Not all abandonments are intentional, however. In many cases, we just can’t know whether a work of art has been decisively finished. All we can say for certain is that, sooner or later, the process stops. Even when the work has been brought to a satisfying completion, when no more canvas is showing, when the instruments have fallen silent, when the curtain has dropped or the threads of the plot have all been neatly tied together, the ending is necessarily the result of an interruption. When the unnamed person from Porlock knocked on Samuel Taylor Coleridge’s door, the poet was in the midst of transcribing the poem that had come to him in a dream. “Kubla Khan,” according to Coleridge’s account of the interruption, remains unfinished. For Coleridge, though, a sudden interruption wasn’t necessarily a bad thing. To the contrary, there is evidence that he welcomed interruptions. Indeed, a letter interrupts Coleridge’s critical work Biographia Literaria (1817). In Chapter XIII, he is in the midst of undertaking a careful survey of nothing less than “the fulness of the human intelligence.” He has been quoting Milton and Leibniz and the fourth-century bishop Synesius to shore up his complicated argument. He has just begun to posit that the human imagination consists of counteracting forces—but then, abruptly, he stops, right in the middle of a sentence, and announces that he has just received a letter from a friend. The friend, Coleridge explains, is someone he has “ample reason to estimate and revere.” This friend responded to Coleridge with his opinion of the portion of the incomplete chapter that his letter interrupts. The friend thinks it’s important for Coleridge to know the effect of his argument, which is so new and strange that, even for a reader as sympathetic as this friend, everything seems turned inside out: “In short, what I had supposed substances were thinned away into shadows, while everywhere shadows were deepened into substances.” The friend goes on to warn that the public may not understand “the study of so abstruse a subject so abstrusely treated.” Plus, adds the friend, the argument will end up being so long and convoluted that it will have “probable effects on the sale of your present publication.” But that’s hardly worth mentioning, because the poet values his writing too much to care what he earns for it. When it comes to practical concerns, scoffs the revered friend, Coleridge has “a pig-nature”! Who wouldn’t value such an honest friend? The surprising secret, Coleridge admitted to his publisher, is that there is no friend: He was a fictional character invented by Coleridge to bring an abrupt end to the long chapter. As both the letter writer and the recipient, Coleridge aims the comment about his “pig-nature” at himself. The consequence of the letter is to condense, illogically but economically, the chapter he’d been writing. The poet stops his own argument in its tracks. The result is a brilliant enactment of the same suggestive interruption that Perec illustrates with the unfinished painting at the end of his novel. When we make something, it may never be finished with absolute certainty, but its making will always, one way or another, be stopped. Endings are big business these days. Construction companies are coaxing consumers to invest large sums of money in fortified bunkers, where families can wait out nuclear war, climate change, a scourge of locusts. Meanwhile, artists in different genres, past and present, offer examples of resilience in the face of endings. While the process of making art cannot go on forever, the work keeps becoming itself every time it’s experienced. This is not to say that art is merely a distraction from real calamity. Rather, as soon as the work is brought to a stop, the piece is ready for its audience, and a fresh consideration of its content becomes possible. The imaginative dialogue between artist and viewer goes on, and on again. Life, A User’s Manual demonstrates how inconclusive endings can be. The whole book may be seen as one long interruption, with the ongoing action inside the apartment building brought to a standstill by the author. Building from a single moment in time, looking into the past and the future, Perec has given us a refreshingly flexible model for narrative. He also gives us much to remember. In his personal life, Perec, a French Jew, suffered brutal tragedies. His father was killed fighting for France in World War II; his mother died at Auschwitz. It is easy to assume that Perec cast literature as a game to escape painful memories. Yet he demonstrated over and over that he wasn’t afraid of remembering. Just the opposite: In his short book I Remember (1978), he does nothing but that. The book consists of an itemized list of his memories: “I remember Reda Caire performing live at the Porte de Saint-Cloud cinema” is Memory #1. “I remember that during his trial Eichmann was enclosed in a glass cage” is #268. The last, “I remember…” at #480, is unfinished. “To be continued…,” Perec promises, offering one of his signature endings, turning a final interruption into a perpetual loop of possibility. Whatever its level of finishedness, a work of art necessarily exists within a frame. Its materials are captured, held in suspension. An ending provides both a continuous entry for reconsideration of the work’s explicit content and a provocation to consider meaning that exists only by implication. Stick with Perec all the way through his books, and you will find that the unwritten portion has a special importance. His endings are designed to stir readers to ruminate on what’s been left out, to guess at undocumented loss, even to go so far as to pick up where he has left off and fill in the unfinished canvas, to think actively, freshly, and imaginatively about what could have been, and what might come next if the remembering were to continue. The point where the work stops is only the beginning.